One evergreen corner of Britain's consumer tech industry that continues to thrive is high-end hi-fi manufacturing and design, with the sector's success a result of its on-going tight focus on sound engineering and audio quality, over and above gadgetry and convenience. It's a proven strategy that continues to pay dividends for leading UK brands such as Glasgow-based Linn, Salisbury's Naim Audio, Cambridge's Arcam and Bowers and Wilkins down in Worthing. All of the above, and many other successful UK hi-fi companies, endure and succeed for one very clear and obvious reason. They continue to deliver new products and technologies that allow audiophiles across the world to enjoy recorded music – whether at home or on the go – in exactly the way the artists intended it to be heard when they first crafted it in the studio. "We're pleased sound quality is increasingly relevant in this space and more and more people are talking about it. Right now, it's possible to digitally stream out of an iPhone or across a network and get better sound than was possible from CD players. Clearly, the business models haven't kept up with the technological advances and there's a lot of work to be done there still." The B&W exec thinks that British hi-fi is in such rude health purely because quality hi-fi still represents "really solid value for money and needn't be that expensive ultimately. 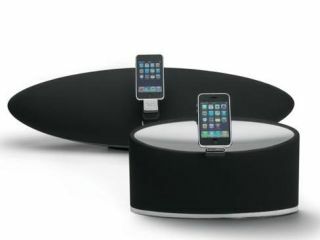 If you take our least expensive speaker (686, £299) or the Zeppelin Air (£500) both offer really exceptional performance and will continue to do so for ten to twenty years into the future. "Indeed, speakers generally sound better as they get older! If you view that in enjoyment terms spread over even half that period, it's probably the best bang for the buck purchase that most people will make. Assuming they like music."